On my train ride home to San Diego from Oxnard, a young woman boarded in Fullerton and took the seat next to me. Within 20 minutes I found out a lot about this talkative, vivacious and fun-loving woman: she was going to see a favorite Swedish band of hers that night in San Diego, then planned to party with them all night; she worked in that industry, helping to set up venues, schedule bands, etc. ; she was 27 and lived at home with her parents; she had a sister who worked at the hotel Chuck and I stayed in at Disney World. She admitted she had no boyfriend, but had a couple possibilities on her radar. She was planning a trip to Europe with a girlfriend sometime in 2014. As we chatted, she applied more make-up to her already-made-up face. I just smiled and politely said my (3-year-old) LG from T-Mobile suited me fine, and that I didn’t need a Smart Phone (or whatever she was hinting that I needed). I don’t even know that much about phones, but I truly wasn’t interested in hearing a lecture about why I needed something more advanced. Regardless, something about her condescending attitude regarding my phone triggered a sort of defense mechanism inside of me. The inner demon in me wanted to tell her that at 27, she was too old to be still living with her parents (she wasn’t even a boomerang kid). I wanted to tell her she would look fine with less make-up. I wanted to tell her that, although somewhat entertaining, she seemed to me to be quite self-absorbed, going on and on about herself, and not once asking me about myself. I felt inclined to lecture her that people would take more of an interest in her if she would listen as much as she spoke. 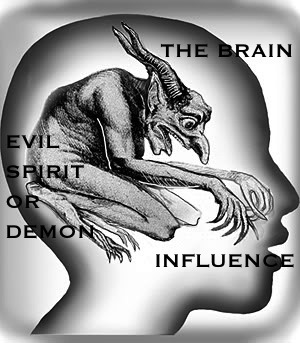 This “inner demon in me;” where does it come from, and can I really call it a demon? It seems to stem from both insecurity and lack of tolerance, as it fights to rear its ugly head at times when I feel attacked or annoyed, even the slightest bit. Inner demon well contained, I continued to chat cordially with the young woman until we reached San Diego and we prepared to disembark. Before she reached up to grab her bag from the overhead, she gave me a big hug and thanked me for helping to make her train ride such an enjoyable one. Feelings of grace and warmth washed over me. I smiled and sincerely wished her well. Once off the train, I watched the young woman walk briskly ahead of me and disappear into the crowd. I felt excited for her and the fun evening she would no doubt experience. Integrity, acceptance, patience and understanding will more times than not, squelch my inner demons. Although I slip now and then (usually with people I’ve had to endure longer than an hour-long train ride), those virtues help keep me in check, alleviate possible hurt feelings, and keep regret at bay. An appreciative and sincere hug bestowed upon me buys a lot of pardons as well.